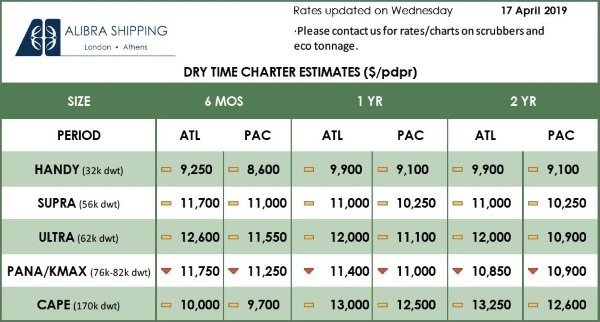 Home / Shipping News / International Shipping News / Macquarie Group Ltd. Purchases New Position in Eagle Bulk Shipping Inc.
Macquarie Group Ltd. Purchases New Position in Eagle Bulk Shipping Inc.
Macquarie Group Ltd. bought a new stake in Eagle Bulk Shipping Inc. in the third quarter, according to its most recent filing with the Securities and Exchange Commission (SEC). The fund bought 19,390 shares of the shipping company’s stock, valued at approximately $109,000. Other large investors also recently added to or reduced their stakes in the company. Bank of America Corp DE grew its holdings in shares of Eagle Bulk Shipping by 1.8% in the 2nd quarter. Bank of America Corp DE now owns 584,217 shares of the shipping company’s stock worth $3,179,000 after purchasing an additional 10,288 shares during the last quarter. Rhumbline Advisers grew its holdings in Eagle Bulk Shipping by 30.9% during the 2nd quarter. Rhumbline Advisers now owns 48,099 shares of the shipping company’s stock worth $262,000 after acquiring an additional 11,344 shares during the last quarter. Schwab Charles Investment Management Inc. lifted its position in Eagle Bulk Shipping by 29.5% during the 2nd quarter. Schwab Charles Investment Management Inc. now owns 83,500 shares of the shipping company’s stock valued at $455,000 after purchasing an additional 19,000 shares during the period. Tower Research Capital LLC TRC lifted its position in Eagle Bulk Shipping by 319.0% during the 2nd quarter. Tower Research Capital LLC TRC now owns 26,944 shares of the shipping company’s stock valued at $146,000 after purchasing an additional 20,514 shares during the period. 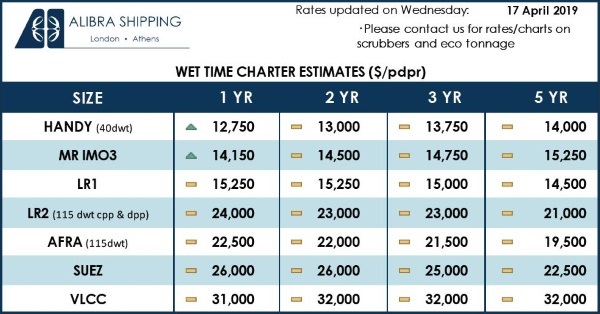 Finally, Bank of New York Mellon Corp lifted its position in Eagle Bulk Shipping by 22.2% during the 2nd quarter. Bank of New York Mellon Corp now owns 121,017 shares of the shipping company’s stock valued at $658,000 after purchasing an additional 21,947 shares during the period. Hedge funds and other institutional investors own 47.05% of the company’s stock. Eagle Bulk Shipping stock traded down $0.25 during mid-day trading on Thursday, hitting $4.02. 329,644 shares of the company’s stock traded hands, compared to its average volume of 278,573. Eagle Bulk Shipping Inc. has a fifty-two week low of $3.96 and a fifty-two week high of $6.14. The company has a market capitalization of $298.72 million, a price-to-earnings ratio of -9.57 and a beta of 1.20. The company has a debt-to-equity ratio of 0.63, a current ratio of 2.16 and a quick ratio of 1.91. Eagle Bulk Shipping (NASDAQ:EGLE) last posted its earnings results on Tuesday, November 6th. The shipping company reported $0.04 earnings per share for the quarter, topping the Zacks’ consensus estimate of $0.03 by $0.01. Eagle Bulk Shipping had a positive return on equity of 0.96% and a negative net margin of 3.52%. The company had revenue of $53.97 million during the quarter, compared to the consensus estimate of $57.49 million. As a group, equities analysts anticipate that Eagle Bulk Shipping Inc. will post 0.17 earnings per share for the current fiscal year. In other news, CEO Gary Vogel sold 54,424 shares of the business’s stock in a transaction dated Friday, January 4th. The stock was sold at an average price of $4.79, for a total transaction of $260,690.96. Following the sale, the chief executive officer now directly owns 1,346,776 shares in the company, valued at $6,451,057.04. The transaction was disclosed in a document filed with the SEC, which is accessible through the SEC website. Also, major shareholder Goldentree Asset Management Lp purchased 10,300 shares of the company’s stock in a transaction on Monday, January 28th. The stock was acquired at an average cost of $4.42 per share, for a total transaction of $45,526.00. The disclosure for this purchase can be found here. In the last quarter, insiders acquired 4,375,857 shares of company stock worth $19,800,505 and sold 71,445 shares worth $341,008. Insiders own 3.70% of the company’s stock. A number of research firms have issued reports on EGLE. BidaskClub downgraded shares of Eagle Bulk Shipping from a “sell” rating to a “strong sell” rating in a research report on Thursday, December 20th. ValuEngine downgraded shares of Eagle Bulk Shipping from a “strong-buy” rating to a “buy” rating in a research report on Thursday, October 25th. Finally, Zacks Investment Research cut Eagle Bulk Shipping from a “hold” rating to a “sell” rating in a research note on Tuesday, November 6th. One equities research analyst has rated the stock with a sell rating, two have assigned a hold rating and six have assigned a buy rating to the company. The company presently has an average rating of “Buy” and an average target price of $6.79.